ANOTHER area that readily echoes recolonisation by intrigues is the dressing code of Adam’s descendants in this part of humanity, for, hardly does the average African take to cognisance the prevailing weather conditions on dressing as all manners of ill-fitted, barely rhymed coloured-suits are spotted by all and sundry; in an empty bid to have a ’’sense of belonging’’. For some, they still operate by that ridiculous cliché of old that every mistake in London is a new style in Lagos and by inference Africa! Of late is a most annoying neo-colonial intrigue this time on the field of football which has gradually crept on Africa like a vicious bacteria with its attacking army; particularly the European League series. In its current madness, no one here so educated, informed, animated or youthful at heart (regardless of the calendar-year scope) can afford to be left off the crescendos of European football melodramatics lest such ‘so-called ignoramuses are taken to have passed their time’. Among its resultant vices include dissociated enmity, corrupt gravy train, psychological trauma of defeat and homicidal frictions. It is nothing short of nonsensical idiocy to be engaged over a match/club victory or loss by a group of people in a far-flung part of the universe and to make it stupider enough; those players/clubs being fought over hardly know or can barely locate such nationalities/their nations on the world map. On their own, the somewhat insane fanaticism reigning amidst clubs’ supporters is shockingly bizarre. Take the supporters of English premiership clubs when caught in the anguish of defeat; it is as if a kennel of incurably rabid-borne dogs is faced with outright extermination. In the heat of such momentary Hobbesial-like state of nature; everything turns nasty, brutish, short-lived and bloody. For these rampaging deviants, nothing/anybody is too sacrosanct against destruction. As if on collision-course with history and simultaneously bearing validity on this fact of life of reaping what one sows; the soul and essence of Europe and its allied fellows have been purchased by the killing gods of materialism and inanimate power of science and technology. Having reached an advanced point of human development where it is now less troubled with poverty and basic needs of life; the western world is currently caught in the spiral webs of sheer godlessness, societal disorientation, parental carelessness, child rebellion, less governmental processes. (After all, for them, the government that governs least governs best!). There is ceaselessly shadow-boxing of its imaginary enemies along its self-charted path of destruction; one option before it is to have a 180 degree change-of-course and appease those it had wronged while trudging to its present cross-roads of restiveness. If only from archival recall, the sheer arbitrariness and impunity of the colonial era over the people under subjugation was simply unimaginable; no material estimate could ever be enough to quantify the loss of precious lives, psychological torture and their dehumanising effects. As worse, it was a period that brawn overwhelmingly asphyxiated anything called brainpower (to wit from the natives of the land). In the then-European parlance, the (mis)use of violence on such people was after all justified because for them; they were trying to recreate the ‘‘apes’’ called Africans. What an irony of man-on-man brutality; whereas it was the nastier, evil apes in them that nakedly manifested. 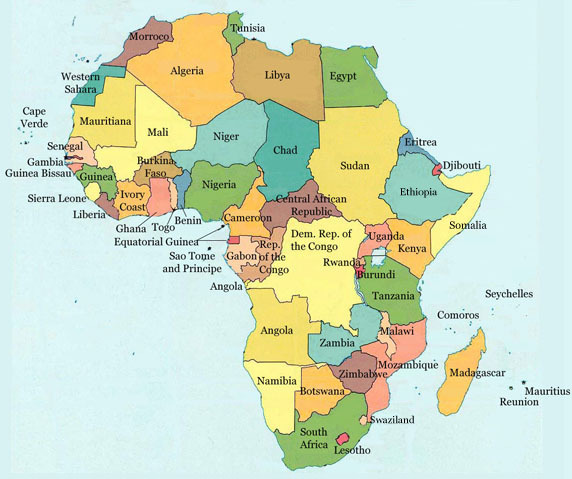 On every front, owing to the devastating consequences of its ravaging scramble for Africa and which has left it hemorrhaging and mercilessly traumatised ever since, Europe and other prowling powers of its past have to assist Africa to its feet not just in economic packages given by one hand and simultaneously cycled back to their originating sources with the other. In fact, this goes beyond mere reparations as mutedly pushed by some advocates, awhile ago. Perhaps unknown to starry-eyed analysts/arm-chaired critics, the west and other fairly organised societies in the world shall have no peace or insulated against severely deprived immigrants until those who are yearning to be pulled out of the abyss of poverty and avoidable suffering are sincerely heeded back home. Of similar importance is the inevitable need for Europe and its collaborators-on-colonial crimes against humanity, especially Africa, to put on public notice, worldwide, a genuine apology to have disrupted Africa’s innocent past and by the time this is done, Africa’s bruised/agitated soul would have been healed and only then can the world at large be steadied to start walking hand-in-hand in mutuality of purpose and work out a thoroughbred plan of action to usher in the wonders of sanity, equity, stability and security for the greatest number of mankind. ← Does Nigeria really have a future?